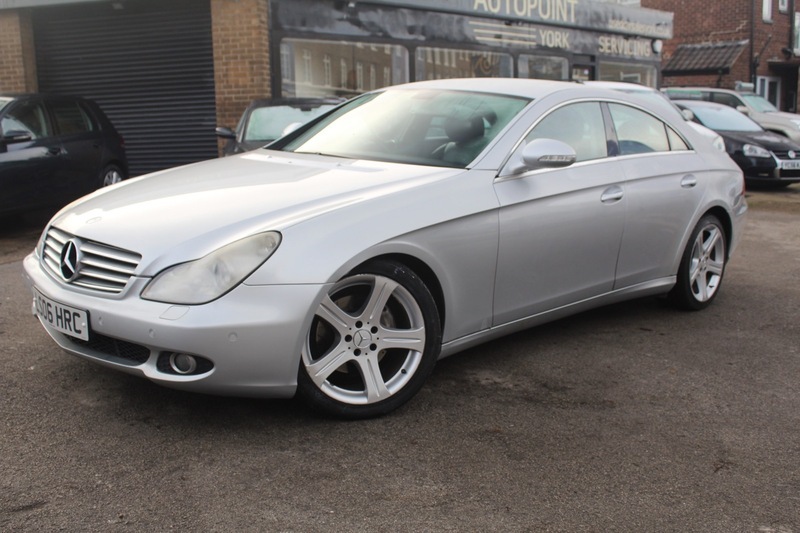 Here we have our Mercedes CLS 320 CDI. Finished in Metallic Silver and Full Black Leather. Your chance to own a piece of German Luxury for under £4,000. The car comes with Air Conditioning, CD Player, Climate Control, Full Electric Windows, Alloy Wheels, Sat Nav, Cruise Control, Cup Holders, Electric Mirrors, Full Black Leather Electric Seats, Metallic Paint, Particle Filter, Rain Sensor and Steering Wheel Controls. The car also comes with MOT, 12 months Service, Warranty, Free AA Cover for a year and Pre Delivery Inspection Report.